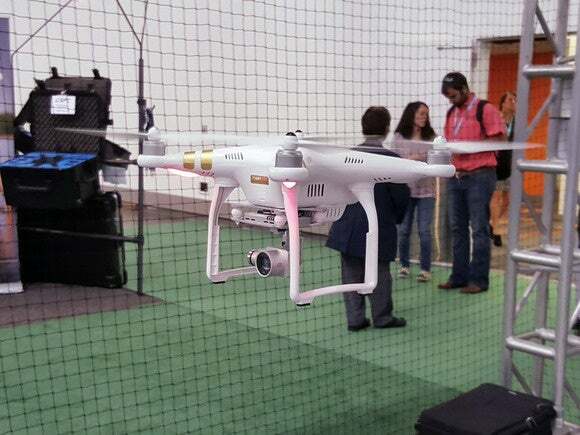 A drone industry group created by the Federal Aviation Administration (FAA) to develop rules for drone registration is recommending the government apply just about the lightest touch possible. The group's final report suggests the FAA require operators of all drones weighing 250 grams or more submit their name and address through a website or smartphone app. No other information would be required. Once registered, operators would receive a number that they should mark on each of their drones. There are no stipulations on the size of the marking so it could be only readable when the drone is inspected closely. There is no requirement that is be legible while in flight. The loose touch is not surprising. Many in the drone industry have been pushing against regulation and excessive legislation because they want as few hurdles as possible to greater sales and use of drones, both by consumers and companies. The task force delivered the recommendations to the FAA on Saturday and the agency will now examine them and possibly make changes before publishing an interim rule. That is expected sometime in December with the rules taking effect before the year-end holiday period. The FAA is rushing the rules through because it's worried hundreds of thousands of new drones will be given as gifts during the holidays and that will cause problems with inexperienced pilots flying and crashing drones. The proposed regulations won't do much to stop that, but it appears they would make it possible to identify the owner of any drone that crashes on private land. 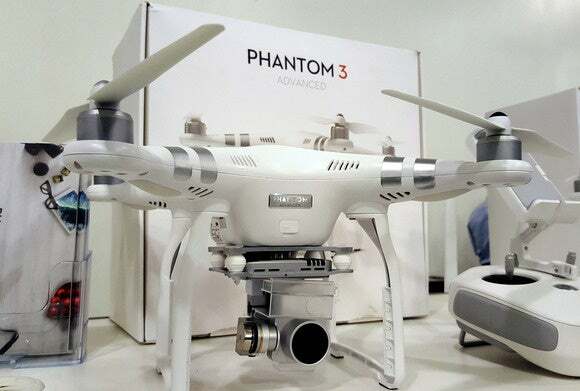 DJI, a leading manufacturer of consumer drones, said the report was the result of weeks of negotiations, but there were disagreements within the 25-member task force. And DJI said it still has concerns with some aspects of the report. "We share the concerns of many of the 4,700 people who filed comments that this process was initiated in response to sensational headlines rather than data-based risk assessments, and contradicts the provisions of several federal statutes." Another group, the Competitive Enterprise Institute, said the speed with which the FAA is moving through the rule-making process could attract a lawsuit. "I think any other entity that is regulated by the FAA should be very concerned," said Marc Scribner, who follows transportation policy for the D.C.-based advocacy group. He said the FAA appears to be planning to use an emergency rule-making procedure to bring the rules into effect before the holidays, but the potential threat from drones doesn't rise to level required to bypass a process that usually takes months and involves a substantial public comment period.